 Awarded the eKomi Standard Seal of Approval! Calculated from 103 reviews (last 12 months) from 10 accounts. Good Whiteboard but the instructions to fix to the wall were poor with no measurements for the drill hole and theses could certainly improved. . The courier was vry rough so maybe better packing on corners. It didn‘t arrive yet !! I placed an order on 13/3/19 and it still has not arrived on 26/3/19,I am unable to get an update from either your courier services or from yourselves despite repeated attempts.Very poor service! Very quick delivery, item as described and of good quality. i am very pleased with my SAM cork notice board - it is a good product at a reasonable price and included free postage. It arrived in reasonable time and well packaged. I will use SAM again if i need a similar product and recommend it to my family or friends if i hear they are looking for something similar. Superb projector screen,easy to install on my own.the only reason for not 5 stars,there was no battery in the packaging.otherwise go and buy this screen. Having numerous online stores throughout Western Europe, we're one of the largest manufacturers and sellers of visual presentation products. Almost all products that we sell are manufactured by ourselves in our own state-of-the art manufacturing facilities. Sold under our own brand names sam creative, sam connect or sam office, we have become known for our high quality standards, innovative design and sharp pricing. Our modern central distribution centre allows us to ship orders to customers across the continent and overseas on a day-to-day basis, throughout the entire year. Our unique character lies in the fact that we are both manufacturer, distributor and reseller. This offers countless advantages in terms of lead times, prices, customer service, customization and product development. We call them the benefits of buying directly from the manufacturer!